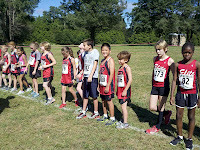 Our family has never been to a XC (Cross Country) meet, so we were excited to attend this year’s Season Kickoff Classic in St. James, NY at the 90 acre training field for Team Sports Center. As we drove up and parked our SUV along with the other 100 SUV’s, Minivans and other family vehicles. I noticed the field lined with neon pink warning tape fencing the course for the races. I was amazed that the entire field left to right was marked off and ready to run! Occasionally, I would run the perimeter of this plot of land called Flowerfield, which is about a mile around. I would do my best to keep up with 10 year olds, and end up telling them to keep going as I huff and puff around on the tree lined grassy field. I am not sure why it is called Flowerfield because there are no flowers there now. I will find out the history about the flowers later. Now it’s an industrial park with different offices and warehouse spaces on the property. 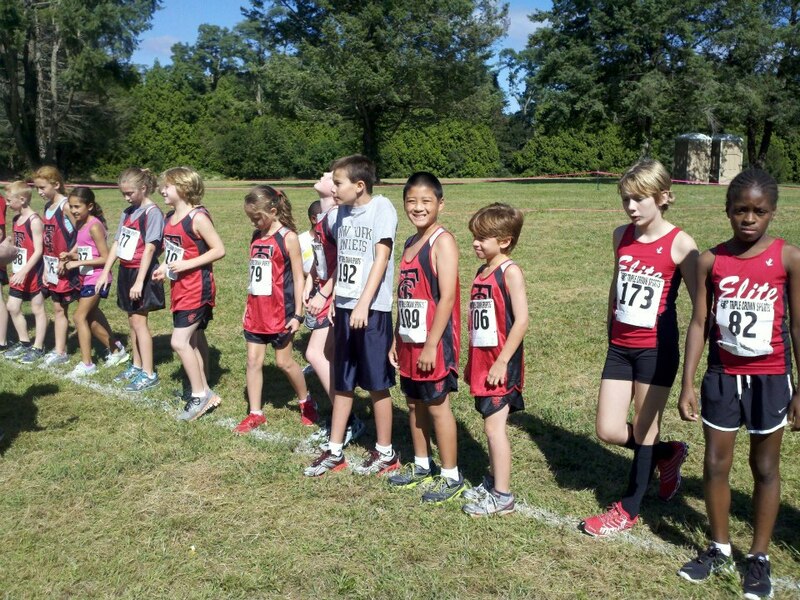 The boys started with a winter clinic designed to get kids interested in running. Lots of fun doing running drills that are designed to create speed and agility needed to run faster and stronger, yet the boys did not realize they were getting prepared to run. It was plain fun, at the end they had an Olympics where the boys brought home a lot of medals, and we signed them up for Spring Track and Field. They seemed to enjoy that. Fast forward to yesterday, Cross Country seems more up our ally because Irene and I enjoy long distance running that we started to do a few years back. Both of our fast twitch muscles that are needed to increase speed have long disappeared, so doing marathons is something we do now. I think it is translating to the kids running. During the spring, while track was fun, going to the meets was a difficult. We would sit around for hours between events! 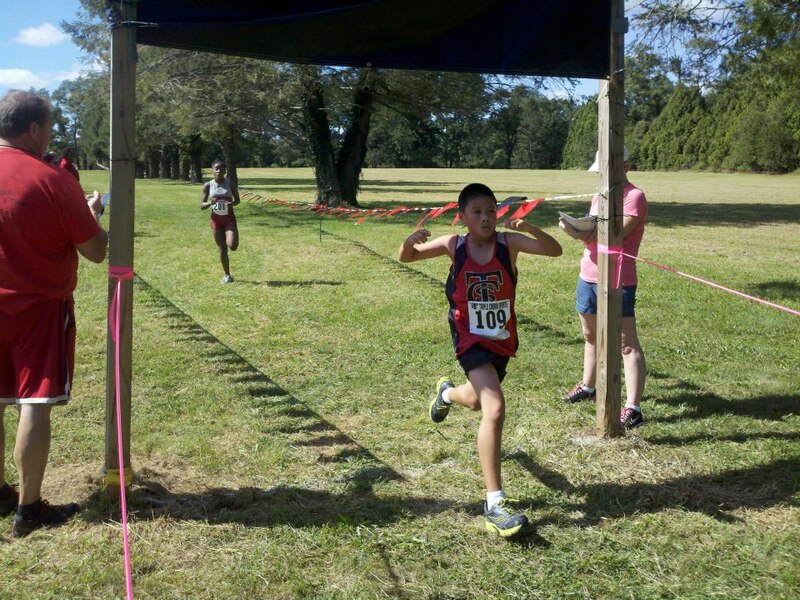 Our youngest was in the 2K and the middle one was in the 3K. Both distances are doable and still challenging enough to get them to focus and do their best running against some of the best runners in the Northeast. 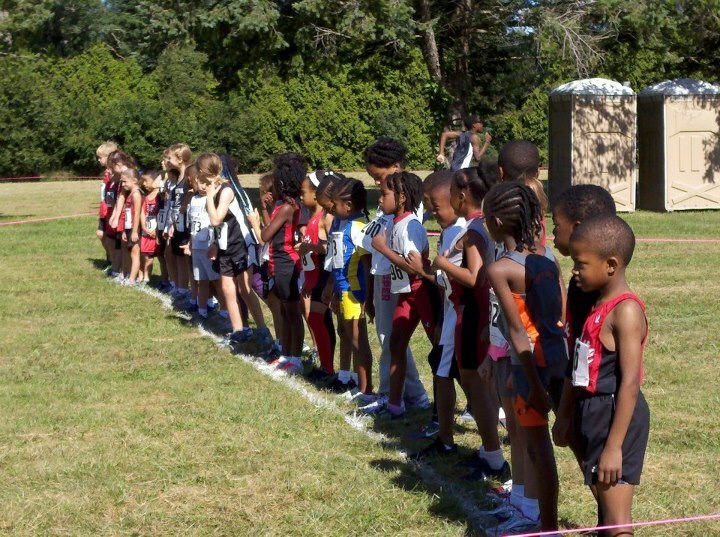 There were about 40 kids in each event that toed the line and waited for the words, “Runners on your mark!” and the blast of the horn. At the each of the 4 events, a massive wave would move down the course and eventually the faster kids would start breaking away, and at the end you can hear some of the time and be astonished at sub 6 and sub 5 min miles. Totally incredible, I know that I could never achieve that type of speed in my legs. I know that the boys are faster than Irene and I and they are a quarter of our age. What I enjoyed was being able to cross the field several times to cheer on the runners as they zigged zagged across the field. 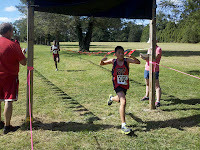 I was able to see my boys’ pass me 3 to 4 times, get snap shots and see them have a happy or an indifferent look at the finish line. Our head coach, Grant Stanis is a gentle giant of a man. Having been a champion himself, he is the most patient person that I know. He is determined that each child in the program improve. He knows that not everyone can come in first. He wants them to do their best. That is all he asks, and as parents that’s all we should ask as well. At the end of the meet, the rest of the family went home, and I headed off to do a 15 mile training run. If it was a track and field event, we might not have gotten home until dinner time! 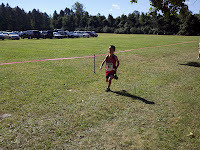 We are very happy with Cross Country! Great article...where can I find the results?